Captain Marvel Box Office Day 14 (India): The Dominance Of Superhero Genre Continues! Captain Marvel Box Office Day 14: Superhero movies have always been a favourite genre as far as the target audience here is concerned. With the release of Brie Larson starrer, the anticipation of it doing well was predicted. The movie is inching towards the 80 crore mark at the Indian box office. It has collected 76.90 crores* in the first 14 days and has successfully surpassed Avengers: Age Of Ultron. The second installment of Avengers, which released way back in 2015, collected 76 crores. 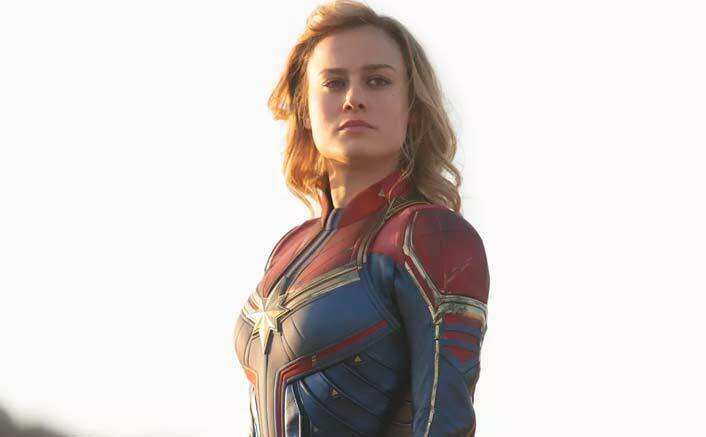 Next target for Captain Marvel is to cross Mission Impossible: Fallout (2018) which stands at 77 crores. Set in the 1990s, Captain Marvel follows Danvers’ journey as she becomes one of the universe’s most powerful heroes. Based on the comic book series, first published in 1967, Captain Marvel is produced by Kevin Feige and directed by Anna Boden and Ryan Fleck. It also stars Samuel L. Jackson, Ben Mendelsohn with Annette Benin and Jude Law. Badla Box Office (Worldwide): Achieves The 100 Crore Milestone! #ShameOnKaranJohar: Shah Rukh Khan Fans Badly TROLL KJo For Liking An Abusive Tweet Against The Superstar! With an impressive $153 million debut in North America, Disney’s MCU title totalled a global opening weekend of $455 million, or the sixth highest global debut and the biggest opening of 2019, surpassing the entire top 10 total of the same weekend last year, reported variety.com. Disney distribution chief Cathleen Taff said the results show that Captain Marvel again tapped into the worldwide fan base for MCU movies and credited Marvel president Feige with expanding the diversity of superheroes, with Larson as the first female lead character. Planning to watch Captain Marvel in theaters? We’ve got you covered. Click here and enjoy exclusive cashback offers. The post Captain Marvel Box Office Day 14 (India): The Dominance Of Superhero Genre Continues! appeared first on Koimoi. Next Article Kesari Box Office: 21.06 Crores VS Akshay Kumar’s Highest Opening Grossers; BEATS 4 Movies!